Perhaps nowhere is the saying, “The more things change, the more they stay the same” more appropriate than in China. China has the honor of being the civilization with the longest continuous history on Earth. China was not the first or the oldest civilization, but while ancient Egypt and Sumer have long since vanished from history, China remains. In that long 3000-4000 years of history, China has undergone many changes. Dynasties of rulers have risen and fallen. The country has been united into an empire, only to break apart and then be united once again. The Chinese Empire has expanded its frontiers into Central Asia, and has been restricted to northern or southern China, while foreigners have ruled other sections. China has been conquered and has regained its independence. Through all the revolutions and changes, China remains China. The Communists under Mao Zedong were determined to remake China into a modern, socialist country, yet they went about their goals in a characteristically Chinese fashion. Mao condemned Confucius and sought to end that sage’s influence on China. So did Qin Shi Huang, the first Emperor of China (previous rulers were referred to as “kings”). The Communists enforced a rigid Marxist conformity on China intellectuals. The Song Emperors enforced a rigid Neo-Confucian ideology. China, under Mao limited its contacts with foreigners. So did the Qing Emperors. The present rulers of China have converted China into a major trading nation. So did the Tang Emperors. The Communist Party does not tolerate any rival parties. No imperial dynasty was ever comfortable with parties or partisanship. Like the Emperors of old, the Chinese government thinks more in terms of taking a paternal interest in the lives of its subjects rather than in protecting human rights. Yet, one must not think China as being unchanging or Chinese history as being boring. China has seen drastic changes throughout its history. One might think of this history of change and continuity in terms of the Chinese philosophical ideas of Yin and Yang, opposites that work together. Passive, feminine Yin might represent the periods of imperial unity and strength while active, masculine Yang might represent the chaotic periods of war and disunity that were, nevertheless, the most intellectually productive periods of Chinese history. I think there are few resources which explore the grand sweep of the Yin and Yang of Chinese history in one volume better than John Keay’s China, A History. 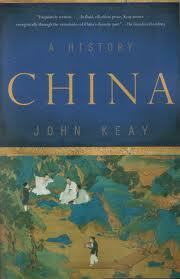 In his book, John Keay tells the story of the Chinese nation from its Neolithic beginning up to the modern age. Keay does not, as many writers of history books do, spend too much time on recent events while neglecting past centuries. Every dynasty gets the proper amount of attention, as do the periods of disunion. If I have any complaint at all about China, A History, it is that at 611 pages it is simply too short. Six hundred pages are hardly enough to give an outline of Chinese history. I am not complaining, however. If you want a general outline of Chinese history, China A History serves the purpose admirably and if you want to know more about any topic, there is the bibliography John Keay provides. The other day, I was eating at a Chinese restaurant and I noticed that one of the items at the buffet was called “General Tso’s chicken“. I started to wonder who General Tso could be and why he has a chicken dish named after him. Was he, perhaps, the Chinese equivalent of Colonel Sanders? Naturally, I consulted that infallible fount of knowledge and wisdom that is Wikipedia. Well, as it turns out, General Tso was a nineteenth century Chinese military leader who helped to suppress some of the rebellions that were endemic in the last century of the Qing Dynasty. His name was actually Tso Tsung-T’ang, or Zuo Zongtang using the Pinyin system of romanization. Zuo Zongtang was born in Xiangyin County in the province of Hunan in the year 1812. His family was poor but he was ambitious so he took the Imperial civil service exam seven times, failing each time. This was no cause for shame, the vast majority of candidates did not pass, but it did limit his options for advancement. Discouraged, Zuo Zongtang retired to his family farm to raise silkworms and study. The world was changing and new ways of rising in China were opening up. It was becoming increasingly obvious that China had fallen behind the European nations in science, technology and military power. Zuo became aware of China’s increasing backwardness and he was one of the first Chinese to study Western science and culture. Zuo became known and respected as an expert in the new, foreign learning. When the Taiping Rebellion broke out in 1850, Zuo became an advisor to Zeng Guofan, the governor of Hunan, who was tasked with raising an army to defeat the Taiping rebels after they had fought and destroyed the regular Qing armies in the region. By 1860 Zuo was given command of an army and he managed to clear the rebels out of Hunan and Guangxi provinces. He and Zeng captured Nanjing in 1864, ending the Taiping Rebellion at last. In 1865 Zuo was appointed Viceroy over the provinces of Fujian and Zhejiang. He was also made Commissioner of Naval Industries and opened China’s first modern shipyard and naval academy in the city of Fuzhou. In 1867, Zuo became Viceroy of Shaanxi and Gansu provinces and was ordered to put down the Nian Rebellion which had plagued northern China the same way the Taipings had been in the south. He accomplished this task by the following year and was then sent out to the west to deal with the Muslim rebels in the autonomous region of Xinjiang. By 1878, Zuo Zongtang had crushed the rebels, converted Xinjiang into a province of China, with himself as the first governor and had persuaded the Russians to withdraw from the border regions they had occupied in the chaos of the rebellion. 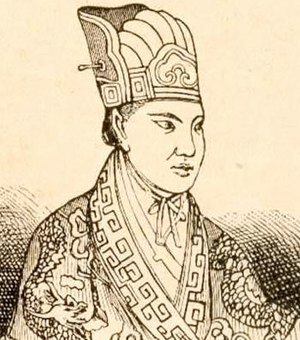 Zuo Zongtang has seen to it that his troops were armed with modern weapons and so was able to credibly threaten war against the under manned Russian outposts. This was one of the few times in the nineteenth century in which the Chinese were able to resist a foreign power. 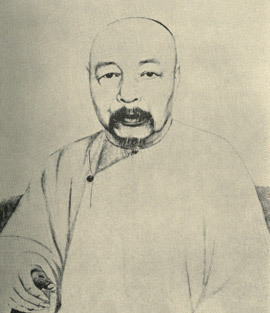 Zuo Zongtang was promoted to the Grand Council in 1880. Zuo was not really a politician or bureaucrat and didn’t much like the post so in 1881 he was made governor of Liangjiang. His last military commission was as Commander in Chief of the Army and Inspector General of coastal defenses in Fujian when the Sino-French War broke out over the status of Vietnam in 1884. Again, the Chinese army under Zuo performed somewhat better than they had against European armies previously and they managed to give the French a hard time in Vietnam and southern China. The French won the war, however, largely because the French Navy could bombard the coastal cities of China at will. Zuo Zongtang died in 1885, just after the war ended, a national hero. That explains who General Tso was, but how did he get a the chicken named after him? Did he work as a chef when he wasn’t leading armies? Was sweet, spicy deep-fried chicken a particular favorite of his? The truth is that nobody seems to know how General Tso’s chicken came to be named after General Tso. He couldn’t have possibly eaten it. The dish was actually invented in America, by Chinese immigrants who had fled China after the Communist takeover in 1949. The Shun Lee Palace in New York City claims to be the first restaurant to serve General Tso’s chicken in 1972, but that claim has been contested. Peng Jia was Chiang Kai-Shek‘s chef when Chiang fled to Taiwan and in 1973 he opened a restaurant in New York. Peng claims to have invented the dish while experimenting with ways to make Hunanese cuisine more palatable to non-Hunanese, mostly by adding sugar and sweetening it. Whatever the case, General Tso’s chicken was unknown in China before the Chinese government opened China to foreign trade and contacts. Since then, Chinese chefs have successfully introduced the dish to China although it is not a favorite in General Tso’s native Hunan. 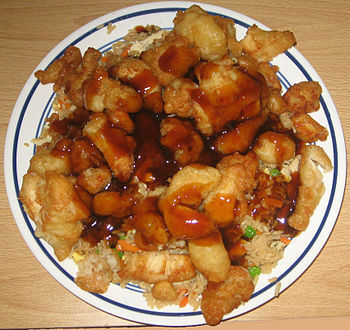 Most Hunanese consider General Tso’s chicken to be too sweet. 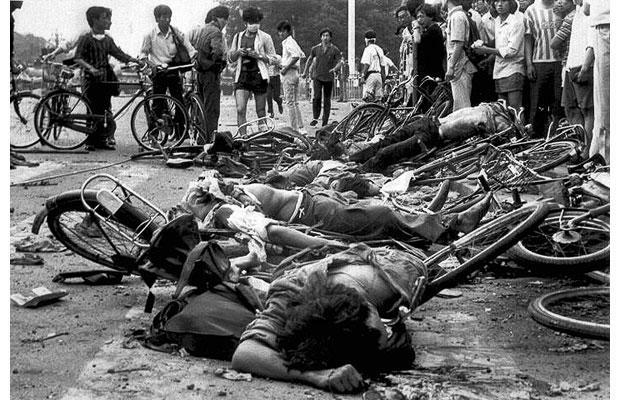 The Taiping Rebellion was the bloodiest civil war in the history of China, and quite possibly the most destructive war in the whole sanguine history of war, yet few outside of China know very much about the course of this titanic conflict, or even that it happened. The Taiping Rebellion began as a religious movement led by Hong Xiuquan, a man who had had a nervous breakdown after failing the very difficult civil service exams that were the path to success in Imperial China. After reading some tracts given to him by Christian missionaries, he conceived the idea that he was Jesus’ younger brother and began to form a cult, which became a Chinese nationalist movement against the Manchu Qing dynasty that ruled China. The Manchus did not care for this movement and their persecution sparked a rebellion that, at its height, involved almost half of the Chinese Empire. either nation. Both wars threatened the prosperity of the British economy, which depended on trade with both America and China. In both cases foreign powers, especially Britain and France believed they had an interest in intervening. In both cases, the north won. The differences between the two wars were greater, however. The Taiping Rebellion lasted longer, from 1850 to 1864. It was fought far more cruelly than the American Civil War. Imagine instead of a pleasant conversation between Grant and Lee at Appomattox, Grant seizing the surrendering Lee and having him tortured to death. Or, Sherman deliberately massacring Confederate civilians when he burned Atlanta. The United States was also spared the complication of having British or French troops invading to fight on either side, or having the British Navy burn down the White House to force America to trade. China was not so fortunate. While fighting the rebellion, the Chinese were also forced to fight the Arrow War against the British who burned down the Xianfeng Emperor’s Summer Palace in retaliation for the Chinese government’s mistreatment of their representatives. The outcome and legacy of the two wars were also much different for the two nations. The United States emerged from the Civil War stronger and more united. In the decades following the Civil War, America became an industrial giant and a world power. Again, China was not so lucky. The Qing Dynasty managed to cling to power for the next half-century, growing ever weaker and less capable of defending China against the encroaching foreigners. Extent of the Taiping Rebellion (French). As I said, little is known of this conflict in the West. There have been a couple good histories of the Taiping Rebellion written by Western historians, including Autumn in the Heavenly Kingdom by Stephen R Platt. Autumn in the Heavenly Kingdom is not so much a comprehensive history of the Taiping Rebellion, that would take several volumes to do it justice, but a story of some of the leading players would were caught up in the great events. Platt tells the story of Hong Rengan, the preacher’s assistant and cousin of Hong Xiuquan, who felt obliged to join the Taipings to help his cousin and who became Hong’s most trusted advisor. There is Zeng Guofan, the Chinese Confucian scholar who reluctantly became the general who crushed the Taipings. There were James Bruce, eighth Earl Elgin, who led the British in what he felt was an unjust war to force the Qing to allow the trade in opium, and his belligerent brother, Frederick Bruce who hated the Taipings and slanted his reports to encourage the British and the French to send forces to China to fight them. There were many Europeans, especially missionaries who sympathized with the Taipings and hoped that they would create a new, Christian China. There were others, like Frederick Townsend Ward, who sensed that fighting as mercenaries for the Qing could be very profitable. This emphasis on some of the leading actors in the drama makes Platt’s account interesting and readable. In fact, it reads almost like a novel and I found it hard to put down. The only weakness in his approach that I can see is that he barely mentions the beginnings and early years of the Taiping movement and the history only really begins when Hong Rengan decides to join the Taipings in 1858. The story also ends with the end of the Rebellion, and it might have been nice to read a little more about how China’s “reconstruction era” turned out. Autumn in the Heavenly Kingdom is a worthy book about a somewhat forgotten war and I can heartily recommend it for anyone interested in China. I have mentioned before that claims that the twenty-first century will be the Chinese Century in which China will rule the world may be premature. It may be that the leadership of China is beginning to realize that they will have to make some major reforms to their system if they want to remain in place, much less rule the world. Where should they look for inspiration and ideas? Why, the US, who else? Yahoo News explains why China might want to be more like us. China’s Communist leaders like to point out that American-style democracy is chaotic, and that western capitalism causes manic booms and busts. Yet they’re borrowing heavily from the American playbook as they remake China’s huge, state-dominated economy. China recently announced a series of reforms meant to speed the transition from a fast-growing yet still-spottily developing nation to a wealthier and more mature economic powerhouse. Among other things, new policies are meant to scale back Beijing’s role in the economy, open state-run industries such as finance and energy to more private businesses, and provide more ways for foreign investors to participate in the Chinese economy. Eventually, market forces would set interest and exchange rates, which are now controlled by the government. Chinese companies–often owned or partially controlled by the government–have also been splurging on western firms lately. Chinese meat processor Shuanghui International Holdings announced it is buying Smithfield (SFD), the big U.S. pork producer, for $4.7 billion. And the Chinese investment firm Fosun International is part of a group buying the French resort company Club Mediterranee (CU.PA), allowing the troubled travel firm to focus more on upbeat Asian travelers rather than Europeans besieged by recession. China has tried before to liberalize its economy, with varying degrees of success. It has clearly become integral to the global supply chain, making it the world’s leading producer of many goods. Virtually every big multinational company has operations in China, with some of them earning impressive profits there. The Chinese government’s role in the economy makes Washington look like a laissez-faire paradise. It controls banks, railroads, oil companies and many other conglomerates, using those companies to advance what it feels are national priorities. By managing a quasi-capitalist economy more closely than other governments, Communist party leaders are able to harness wealth creation for political purposes. But state-run capitalism can also cause major disconnects between supply and demand, along with other distortions that undermine the whole economy. China, for instance, lacks many of the legal protections consumers and businesses have long demanded in the West. Theft of intellectual property is rampant, which makes many western companies reluctant to develop new technology or do proprietary research in China. That’s why the nation is considered far better at stealing other people’s ideas than generating its own. Corruption within the ruling Communist party is widespread, leading to deep distrust of the government. Choking industrial pollution is the dirty little secret of a muscular manufacturing sector. Wrenching poverty is common in the countryside, where pre-industrial subsistence farming still sustains millions. Few outsiders see those problems, however, which might explain why Americans have an exaggerated sense of China’s economic might. In polling by Pew Research, 42 percent of Americans said China is the world’s leading economic power, compared with only 36 percent who said the United States is. Yet China’s GDP per capita is just $9,100, which ranks 122d in the world. U.S. GDP per capita is $49,800, tops among large countries (unless you include Norway and Switzerland). The size of China’s economy could eclipse that of the United States in a few years, yet even then China would be nowhere near as rich as America. China’s leaders realize that, which is why there’s an aggressive new push to embrace reforms Western experts have been advocating for years. Some economists argue that China is heading for an economic phenomenon called the “middle-income trap,” in which fast-growing economies suddenly stagnate, unable to evolve beyond a seemingly fixed level of prosperity. 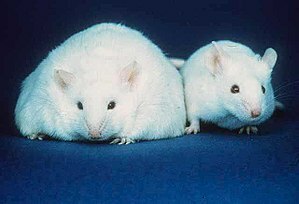 China may be encountering that now. After several overheated years when China’s GDP grew by more than 10 percent per year, growth has fallen back to less than 8 percent. Some economists think it will fall further as efforts that worked economic miracles before – such as massive government-financed infrastructure projects — enter a phase of diminishing returns. Annual income growth, meanwhile, peaked at nearly 23 percent in 2008 but has since drifted down to about 17 percent, according to World Bank data. Even with several years of fast-rising incomes in China, American workers remain far better off. Income per capita is nearly $49,000 in the United States, compared with about $5,000 in China. It’s well understood that to become more prosperous and evade the middle-income trap, China has to rely less on exports — consumption by other countries — and more on consumption by its own middle class. It must also unleash more entrepreneurs driven by the profit motive, while cracking down on cronyism and bureaucratic corruption. Yet a vast network of party mandarins will no doubt try to undercut reforms, since they profit handsomely from the status quo. In that regard, China already resembles America, where politicians often stand in the way of what’s best for the country. I didn’t mean to quote the article in its entirety, but there wasn’t anything I wanted to leave out. I would like to note that the fact that the Chinese government can harness economic growth for political purposes is actually a major part of the problem. When economic decisions are made for political reasons you tend to get rent-seeking rather than entrepreneurialism, not to mention the usual misallocation of resources, corruption, and stagnation that are so much a part of any command economy. This holds true in America just as much as it does in China and those pundits who believe that China’s system of authoritarian semi-capitalism is the wave of the future had better take a closer look. Obviously, the Chinese do not want to turn their country into a carbon copy or clone of the US, nor should we wish them to, but a more open and democratic China with adequate protection for intellectual property rights would benefit both our nations. One meme that has taken hold in the last decade or so is that the People’s Republic of China is poised to take over America’s role as the world’s leading nation. China’s economy has been growing at a fantastic rate and its GDP is expected to surpass America’s within ten years, probably sooner. Pundits have warned us that we are in danger of being left behind in the new Chinese Century, unless perhaps we adopt some of China’s authoritarian politics. Personally, I have been rather skeptical of these claims. China has some serious structural problems that will need to be resolved soon or their economic growth will not be sustainable. Not least of these problems is a closed, authoritarian government that neither represents nor is accountable to the people of China. Until the Chinese government opens up and grants its people more freedom, China will not prosper. With this in mind, I was very interested to read an article in the Telegraph that suggests that the Chinese miracle may be ending. The world’s tallest tower should have been built by now. Officials said last year that the great edifice with 220 floors would be erected in three months flat in China’s inland city of Changsha by March, snatching the crown from Dubai’s Burj Khalifa. The deadline has come and gone, yet the wasteland sits untouched. It now looks as if the fin d’époque project – using prefab blocs – may never be approved. Even China knows its limits. 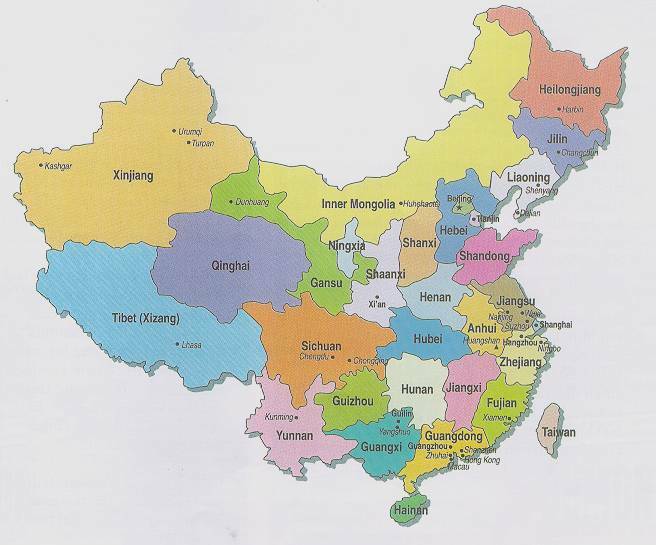 Prime minister Li Keqiang has asked the State Council to clamp down on the excesses of the regions. Not before time. A top regulator says local government finances are “out of control”. Mr Li aims to cut China’s economic growth to a safe speed limit of 7pc next year and rein in rampant investment – still a world record 49pc of GDP – before it traps the country in a boom-bust dynamic of frightening scale. Vested interests are conspiring to stop him, launching a counter-attack from their power-base in the $6 trillion state industries. Even so, uber-growth is surely over. One of the problems of planned economies is that resources are distributed according to the whims of political leaders rather than being subject to the kind of transparency and accountability that a free market provides. Somehow the pundits who worship authoritarian regimes are blissfully unaware of the corruption and misallocation of resources that are endemic to such regimes. They also tend to be not very honest or efficient when collecting economic statistics. Mr Li complained in a US diplomatic cable released on WikiLeaks that Chinese GDP statistics are “man-made”, confiding to a US diplomat that he tracked electricity use, rail cargo, and bank loans to gauge growth. For a while, analysts use electricity data as a proxy for GDP but the commissars kept a step ahead by ordering power utilities to fiddle the figures. The National Bureau of Statistics has since revealed that data collected by the regions overstates GDP by 10pc, though they have not acted on the insight. It is well-known why this goes on. The reward system of the Communist hierarchy has been geared to talking up growth, and officials gain kudos by lowering the stated “energy intensity” of their zone. China’s Development Research Council (DRC) expects growth to drop to 6pc by 2020. It could be much lower. The US Conference Board says it will average 3.7pc from 2019-2025 as the ageing crisis hits. Michael Pettis from Beijing University thinks it is likely to slow to 3pc to 4pc over the next decade, deeming this entirely desirable if it comes from taming the runaway state enterprises. If so, China’s growth may not be much higher than the new consensus estimate of 3pc for a reborn America, powered by its energy boom and the revival of the chemical, steel, glass, and paper industries. All those charts showing China’s economy surging past the US by 2030, or 2025, or even 2017, will look very credulous. China may not surpass the US this century. This is not good news for either China or the United States. We do not lose if China becomes wealthy. We do not win if China collapses. Worldwide economic liberalization and the prosperity it brings is in our long term interests. As of last year US GDP was roughly $15.7 trillion, compared to $8 trillion for China on a nominal exchange rate basis, the measure that matters for gauging economic power. China’s output is 75pc of US levels on a purchasing power parity (PPP) basis but even on this measure the Chinese `sorpasso’ is looking less certain. Clyde Prestowitz, an arch US `declinist’ who has just thrown in the towel, says China may “never” catch the US on any relevant measure. That is a stretch, but not impossible on a forecastable horizon. “Keep in mind the next time you are in China and find yourself choking on the foul air that the things making the air foul are counted as positives for GDP. If you adjust Chinese GDP for environmental degradation and for over-investment in things that will never be used, it falls in size by 30-50 per cent. Much of this would show up as non-performing loans in most economies but since such loans are never recognised in China, it will show up as slower growth in future years,” he said. Environmental degradation is a serious problem in China. If they have anti-pollution laws, they are not being enforced. China’s government seems to not care about the enormous costs in healthcare that the polluted environment will create. Meanwhile, while America has many problems, we seem to be doing quite well for a nation that is supposed to be in decline, despite the efforts of the current administration. A new view is taking hold in elite circles that the banking crash in 2008 was a nasty shock for the US, but not a crippling blow to America’s creative enterprise. US governing institutions rose to the challenge. It was however a crippling blow to Europe, and a more subtle blow to China in all kinds of ways. Richard Haass, president of the US Council of Foreign Relations, says the world may already be in the “second decade of another American century” without realising it. On almost every key measure, including the fertility rate and high science, there is no credible challenger. Core US defence spending is still greater than that of the next 10 countries combined. “The American qualitative military edge will be around for a long, long time,” he said. Mr Haass says America has managed its dominance in such a way that it has not brought about a containment alliance against it by threatened powers, and that is no small achievement. Like Wagner’s music, US diplomacy is better than it seems. Yes, the US faces a debt hangover, but so does China after the state banks let rip with private loans keep the boom going through the downturn. Fitch Ratings has just downgraded China’s debt, warning that credit has jumped from 125pc to 200pc of GDP over the last four years, with mounting reliance on shadow banking that lets banks circumvent loan-to-deposit curbs. This is why George Soros has been warning that there could be a “run” on China’s state banking system akin to the Lehman bust. Total credit has jumped from $9 trillion to $23 trillion in four years, an increase equal to the entire US banking system. America has moved in the opposite direction. Its banks now have loan-to-deposit ratio of around 0.7, and the biggest safety buffers in three decades. The Congressional Budget Office says US Treasury debt held by the public has jumped from 40pc to 73pc. This is the sort of damage normally seen in wars, but the US has recovered from bigger wars before, and from much higher debt levels. The CBO thinks the budget deficit will fall to 2.4pc by 2015. Growth will then whittle away the debt ratio for a few years. There seems to be some sort of ceiling for developing countries that stops rapid economic growth once they have reached a certain size. It is as if the transition from a rapidly growing economy to a mature economy that continues to grow but at a reduced rate is a difficult one to achieve. China’s premier Li is fighting a battle against those in the Politburo who delude themselves that the Lehman crisis validates China’s top down control. He gave his “unwavering report” last year to a joint DRC and World Bank report on the dangers of the “middle income trap”. Dozens of states in Latin America, Asia, and the Middle East have hit an invisible ceiling over the last fifty years, languishing in the trap with per capita incomes far behind the rare “breakout” stars, Japan, Korea, and Taiwan. The trap is the norm. The report warned that China’s 30-year miracle is nearing exhaustion. The low-hanging fruit of state-driven industrialisation and reliance on cheap exports has already been picked. Stagnation looms unless Beijing embraces the free market and relaxes its suffocating grip over the economy. “Innovation at the technology frontier is quite different in nature from catching up technologically. It is not something that can be achieved through government planning,” it said. Demographics are going to be a serious problem for China. Because of the one child policy, China is undergoing the sort of demographic transition usually seen in more developed countries, such as in Europe. The problem is that Europe may be able to afford to care for its aging population (but then again, they may not), but China’s aging population is going to be a significant burden for China over the remainder of this century. Even if Mr Li succeeds in pulling off this second economic revolution – and we should salute him for trying – China’s growth rate is going to slow drastically. Demography will see to that. The work force began to contract in absolute numbers last year, falling by 3.5 million. The International Monetary Fund says it will now go into “precipitous” decline, and much earlier than thought. If you are wondering why police are still seizing pregnant women in Chinese cities and delivering them to clinics for forced abortions when they cannot pay the fine for breaching the one-child policy, you are not alone. China’s ageing crisis is tracking Japan’s tale with a 20-year delay. China can expect to see the same decline in “marginal productivity” that has afflicted every other facing a rise in the old-age dependency ratio. The authorities can of course keep the game going if they wish with another burst of credit, but risks are rising and the potency of debt is wearing off. The extra output created by each yuan of lending has halved in four years. Mr Li knows the game is turning dangerous. A 2010 book by People’s Army Colonel Liu Mingfu – “China Dream: Great Power Thinking and Strategic Posture in the Post-American Era” – is still selling like hot cakes in China. Yet it already has a dated feel, a throwback to peak hubris. China has everything to play for. With skill and a blast of freedom, it can take its rightful place at the forefront of world affairs. But nothing is foreordained. I can only add to this that a more democratic and responsive government would have ended the one child policy years ago. 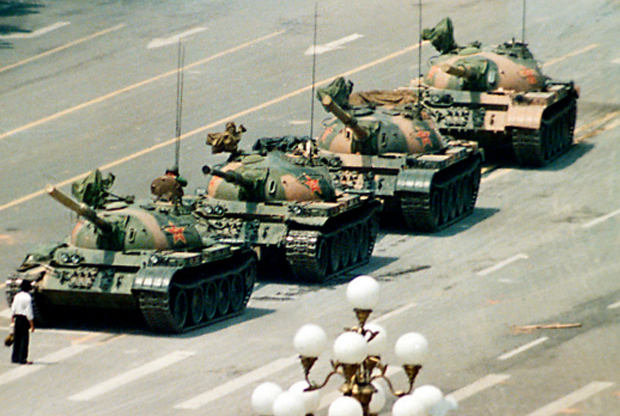 Freedom is what China needs most. Unfortunately, freedom is what the Communist Party is least likely to give it. Could China Trigger New Economic Crisis? – OpEd (albanytribune.com) Yes.